My last bedroom was a perfect square with a long double closet to took up most of one of the four walls. The new bedroom is rectangular and while I appreciate the longer room – and walk-in closet – my upholstered bed suddenly feels huge, especially in length. Now I have gone from knowing I want to swap out my dresser and nightstand to thinking about starting completely over. The dresser and nightstand are about fifteen years old and from Crate and Barrel‘s original lower-priced line (the precursor to CB2). But they held up great because, unlike a lot of what’s available now, they are made of solid wood (WHAT A CONCEPT). Additionally, I have been thinking of moving the blue rug from the living room into my bedroom so that I can get the pink rug I really want for the living room. Of course, that would speed up my need to replace my bedding. At this rate, you will never get a visual tour of my new apartment because it will never be decorated to my satisfaction. I give up. This is too stressful. SORRY IN ADVANCE. Ha! My ex (not because of this story) encouraged me to get something for myself when I received an unexpected bonus ($1,000). I love aquariums and found a 200 gallon used beauty fully equipped for a bit less than that. It weighed 300 pounds (worth of glass) empty and over 2,000 pounds full. I was concerned that the weight would be too much for the floor in the living room so I asked my boss at the time for ideas – the basement was finished and I did not want to start tearing out ceilings to double up joists. He knew a trailer repair facility owner and suggested they may be of help. I went to visit and found two beautiful laminated hardwood planks,normally used for trailer flooring.They were about 8 feet long and about 18 inches wide and 2 inches thick each. Wanting to impress my wife, I spent a week sanding and urethaning the planks – putting on 10 coats. They gleamed when I laid them out in the living room and set up the tank stand and tank on top. She came home from work and came to see what I was doing. The planks fascinated her. She got down and examined them closely, stood up and declared that now we had to do all the flooring in the living room in hardwood because it looked so good. AAARGH! 3 months and $30,000 later we had new flooring, new furniture to match, renovated the hall and the entrance. Changed the flooring in the dining room, changed the curtains,etc. 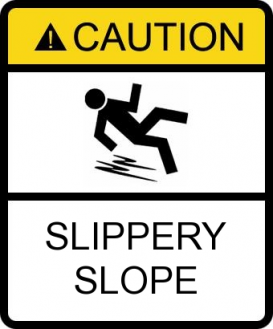 My point OC is that if you change one thing it will cascade – beware, slippery slope!